I thought Yelahanka — where concerts usually happen in Bengaluru — was a nightmare to get to, because of its distance from the city. Even there, the other facilities are usually all in place. It was only when I got to Kesnand, Pune, where Sunburn 2016 is being held, that I realised the meaning of 'bad management'. It was in November this year that Goa tourism minister Dilip Parulekar told the press that organisers of Sunburn, India's biggest EDM festival, could still hold the event in the sunshine state as long as they paid off dues amounting to Rs 1.75 crore (for the police cover they had been provided). 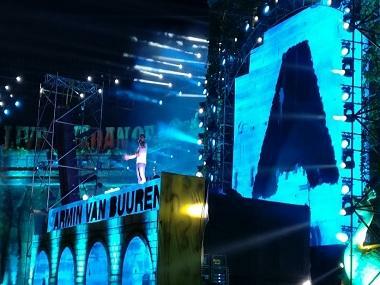 Since its inception in 2007, Sunburn had been a high-profile fixture at Candolim and Vagator in Goa. In 2009, it was named among the world's top-10 festivals by CNN. 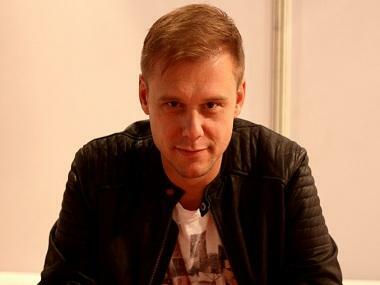 However, although its profile has grown with every passing year, Sunburn has also seen some troubles — most notably, issues arising from the split between Sunburn's founders Nikhil Chinapa (who then set up another equally high-profile EDM festival, Supersonic) and Percept's Shailendra Singh. Supersonic had shifted its location to Pune, and it seems, that after the organisers didn't get approval to stage the event in Goa, Sunburn also set its sights on Pune, specifically, the Kesnand Hills area. The change in location didn't mean that they left behind all their problems — as a Times of India report dated 28 December pointed out, the Sanathan Sanstha, which had opposed Sunburn during its Goa editions, also protested against its being held in Pune. The Sanstha raised a slew of allegations against Sunburn including non-payment of taxes to the state of Goa, proceeding to host the event without requisite permissions, building an illegal helipad near the venue, and disturbance caused to flight operations near the Lohegaon airport. A spokesperson for Sunburn and government officials said the Sanstha's statements did not have any merit. Then, Phonographic Performance Limited asked for a stay against Sunburn, claiming that it held the copyrights to the music that was to be played at the festival. 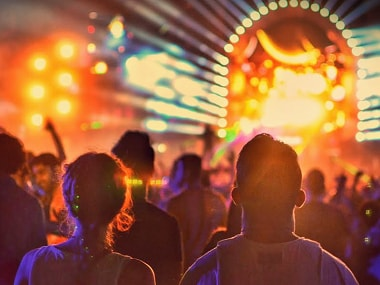 The Bombay High Court gave the go-ahead for Sunburn, on the condition that the organisers would pay the copyright licence fees they were liable for. Meanwhile, Ganpati mandals in Pune protested that the festival organisers had received permissions from the state authorities that they themselves had been denied. Locals from the Kesnand area held dharnas near the Sunburn site to protest against the event, which they claimed was against their culture. 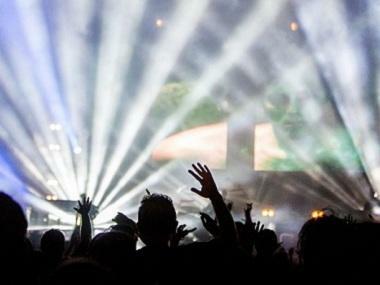 Among the contentious points raised was the serving of alcohol at the EDM festival. Other issues that have marred the run-up to Sunburn include Pakistani-origin Illinois-based dance duo Krewella (comprising Jahan Yousaf and Yasmine Yousaf) being denied a visa to perform in India. On Wednesday evening, when I reached the Kesnand Hills, I realised what an uphill task was in store for festival attendees: Firstly, the box office was located at the bottom of the hill, and reaching the top seemed, well, like a distant dream. There were hundreds of people waiting in queues. Also, the volunteers at the box office took a fair bit of time to hand out the bands, which led to a longer wait. After finally getting the bands, we found people trekking up the hill, because the roads were jammed with cars. It wasn't the easiest of climbs — and since it took place in very little light, at sunset, there were concerns about safety. About a half hour's climb took us to the top, where we prepared to see Armin Van Buuren perform. This was when we found out that no alcohol was being served at the venue, due to permission issues. At concert-end, there were no cabs to get back home. For people who had come in from other cities, this was a daunting proposition; and poor network connectivity meant we couldn't access app-based cab services. It took over an hour to get out of the area. The Armin Van Buuren gig made up for a lot of the inconvenience, but reality hit hard as we made the trek back. It was only the enterprising, who hitched rides in cars and passing tempos, that managed to make it back in reasonable time. Sunburn is scheduled to go on till 31 December, but with controversies dogging it every step of the way — the latest being claims by promoter/agent Divij Kaul that Indian artistes he represents (including DJ Mojo Jojo) were treated shabbily by the organisers, with their dues not being paid — the long-running EDM festival has a steep struggle ahead. As steep as that hill festival-goers will have to climb every day that they are at Sunburn.